Kenneth Eugene Behring (born June 13, 1928 in Freeport, Illinois) is a real-estate developer, former owner of the Seattle Seahawks football team, and philanthropist. Bizarre Foods with Andrew Zimmern is a documentary-styled travel and cuisine television show hosted by Andrew Zimmern on the Travel Channel. The first season debuted on Monday, February 26, 2007 at 9pm ET/PT. Roughly half the size of the United States, Kazakhstan has emerged as one of the most important of the independent republics of the former Soviet Union. Kazakhstan has a vast amount of natural resources including, natural gas, oil and petroleum products, and is home to the world’s largest space launch facility, the Baikonur Cosmodrome, which is leased to Russia. As a hunting destination it has a diversity and richness in wildlife which make it one of the most popular frontiers. The country has four primary ecosystems offering different groups of species in each. In the desert mountains along the Caspian Sea good populations of Transcaspian urial sheep and Persian Goitered gazelle can be found. Farther to the East stretches the vast open steppe with large herds of strange Saiga antelope (hunting for this species is currently suspended). North of the steppe country is an agricultural belt bordering Russian Siberia where excellent Siberian roe deer and medium-sized moose are found. On its Eastern borders with China and Mongolia and on its Southern borders with Uzbekistan and Kyrgyzstan, Kazakhstan has several rugged mountain ranges, which hold the most important game species - Asian elk, Mid-Asian Ibex, Siberian Ibex, and 5 different species of argali sheep. The Asian elk of Kazakhstan are the largest in the world - so much larger than those of Mongolia and Russian Siberia (Altai Republic and Tuva) that a separate category in the record books was established for them - the Tian Shan Wapiti. Many trophies over 400 SCI points have been taken. Excellent populations of both Siberian and Mid-Asian ibex are found throughout the several mountain chains as are smoe brown bear. In addition to small protected populations of Altai argali and Kara Tau argali (O.a.nigrimontana), there are huntable herds of Karaganda argali (O.a. collium), Tian Shan argali (O.A. karelini) and Sair argali (O.A. Sairensis). (Currently, all wild sheep hunting has been suspended). The small population of snow leopards enjoy complete protection, but wolves have become far too numerous and sport hunters are given incentives to shoot as many as possible. The infrastructure in this country is poor, tending to keep outfitting costs high, but for variety, Kazakhstan, is one of the leading countries in Asia for the traveling hunter. The country’s largest city, Almaty, is now served by regular flights of several international air carriers from many European hubs. 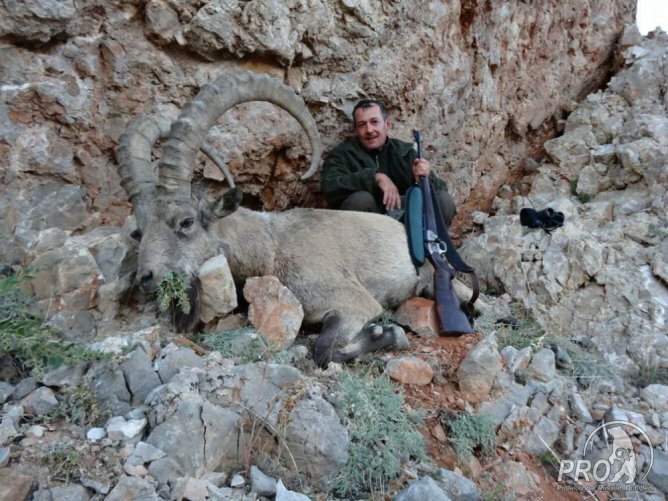 The Hunting Consortium offers a complete program of hunts for all of Kazakhstan’s game species. We have been outfitting hunts in Kazakhstan since it was opened to foreign hunters and have our own full-time staff there to assist our clients. Why should I go hunting in Kazakhstan? A: Hunt in Kazakhstan is a unique experience. The nature in East Kazakhstan is gorgeous, and the Altay region is a beautiful complex of mountains, rivers and forests. Also hunting here is seeing as exotic and adventurous, due to unfamiliar area. The two biggest hunting attractions (Maral and Bear) are great trophies for any hunter, even to more experienced ones.